Park assist system accounted for 11% of the ADAS market share. It finds substantial applications for blind spots elimination and accidental threats mitigation. These systems have found significant penetration in the passenger and commercial vehicles for its efficient detection and warning capabilities. Moreover, semi-autonomous parking assist system operations require the deployment and integration of park assist systems for enabling the vehicle safety. Some of the leading automotive OEMs have initiated providing built-in systems or collaborating with the technology providers to maintain their strong industry foothold. For instance, in April 2017, Nissan partnered with BMW AG and Volkswagen AG for using chips and sensors developed by Mobileye. These are utilized for mapping and autonomous driving and will help the company in strengthening its automotive sales. This will provide solid growth platform for the proliferation of the overall ADAS market revenue. 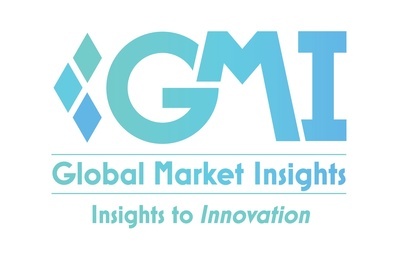 Features that include intelligent park assist system, blind spot detection, image sensors and surround view have significantly contributed towards ADAS market growth. Moreover, driver assistance for complex and repetitive tasks to reduce human errors under complex situations will further expand the market share. However, operational complexity of these technologies in conjunction with and high cost of the systems and user awareness are expected to hamper the overall advanced driver assistance systems (ADAS) market demand. LiDAR sensors acquired over 20% of the ADAS market share in 2017, will witness 12.5% CAGR over the forecast timeframe. High accuracy, fast processing, minimum human dependence, weather independence, competitive sensors costs are among key properties driving the LiDAR demand. Effective prevention from geometrical distortions including angular landscape will provide positive outlook for LiDAR segment in advanced driver assistance systems market size. Based on distribution channel, aftermarket is expected to witness highest CAGR through the forecast period. This can be credited to the provision of cost-effective automotive components driving the aftermarket industry growth. Easy product availability due to abundant component suppliers operating in aftermarket will drive the advanced driver assistance systems market growth. Moreover, higher replacement rates of the electronic sensors and related components will present strong growth potential landscape for the ADAS aftermarket. Based on vehicles, LCV is expected to witness highest growth demands through the forecast period. Potential ADAS application in commercial applications, construction, and military for safeguarding humans and goods will propel the advanced driver assistance systems (ADAS) market demand from LCVs. Asia Pacific ADAS market is expected to witness highest growth through the forecast period. Initiatives emphasizing on the utilization of Artificial Intelligence (AI), collaboration for the development of ADAS, improved sensing systems, and faster information processing capabilities are expected to be among the major factor projected to offer strong growth platform. For instance, in June 2018, Toyota Motor Corporation invested USD 1 billion to gain access on the driving patterns of the users in South East Asia. Moreover, requirement of the ADAS for automation technologies, the industry is expected to witness exponential growth over the forecast period.